Hello, I'm Gregor and I put this site together. 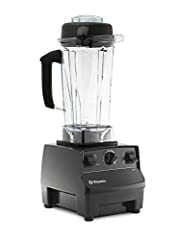 At first, you'll find an overview of recommended commercial blenders, followed by a public poll and a general buying guide on commercial blender. Further down on this page, we do link to other well-written articles and reviews about commercial blenders. At last, you'll be able to weight in your own opinion in the comments section. If you also want to vote on the best commercial blender, click here to view the poll. Blenders have become a standard part of the modern-day kitchen. There are countless recipes and creations you can utilize a blender for, from soups and smoothies to dips and daquiris. 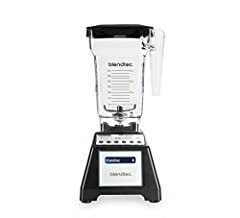 Blenders have evolved over the years, and because they have so many different and exciting features now, it’s easy to get swept up and overwhelmed with options when it comes time to make a purchase. With a little research and looking for one tailored to your individual needs, you can find one that fits seamlessly with your daily cooking routines. The most important thing in choosing the correct blender for your household is identifying what features matter most for you. Do you need more expensive professional quality machine that can blend, pulse, slice, dice and emulsify or are you a culinary novice with little cabinet space and time? Whatever your lifestyle and cooking goals are, here are some things to keep in mind when picking the blender model right for you. Many mid to high-price-range blenders come with programmable keypad controls. These keypads are easy to clean, durable, and make more complex cooking settings a bit easier to control. 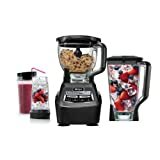 The only downside is if you’re looking for a simple model to make your morning smoothie, you might find yourself spending more time navigating the high-tech controls than actually crushing the ice and fruit. 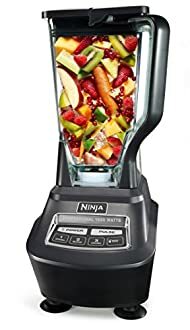 If you need a blender for multiple, specialized jobs, then navigating the controls might be worth it. 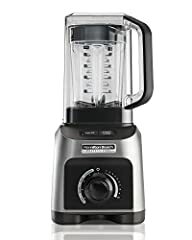 Many low- to mid-price-range blenders come with simple easy to use push-button controls or a single flip switch. Push-button controls are simple to use and offer just as many options for specialized tasks as high-end keypad blenders, but they may be harder to clean as food can more easily be caught in the small crevices of the buttons. Power- While shopping for the right blender for you, it’s a good idea to pay attention to how much power the particular model has, especially for handheld blenders. 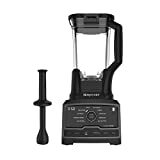 If you’re shopping for a handheld blender, your best bet is a model that exceeds 100 watts of power. A 100-watt hand held blender may be the cheaper option, but you may pay the price later when it unable to do much. 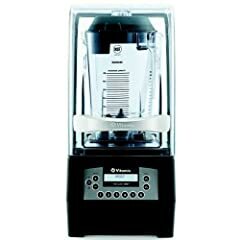 Most commercial countertop blenders are in the 500 watt range, which is sufficient for a typical kitchens workload. It’s not necessary to pay more for a high number of watts unless you are getting it for a specialized purpose. 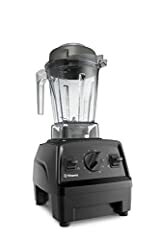 Many blenders with 500 watts are just as capable of mixing ingredients and breaking down recipe components as the expensive blenders with 1000 watts. To many consumers, looks are important. Having a blender that fits seamlessly with your kitchen décor is easily attainable due to a high number of options on the market. There are an array of metals, plastics, and other materials that the modern day blender can be purchased in as well as a veritable rainbow of colors. Once you have a look of blender you like, its important to weigh the pros and cons of each option. For example, while plastic may be the least expensive, it can retain food smells and more easily become scratched. Stainless steel is durable option and looks sleek and modern, but its impossible to see through to check on the progress of whatever food you may be blending. 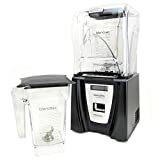 For blenders with a glass mixing container the downside is that glass is breakable, so look for an option with thick enough glass that it remains durable and difficult to break or crack. Other upsides of glass are that it doesn’t retain food smells and it’s see-through, so you can keep an eye on the contents of your blender. Countertop models are the most popular and common type of kitchen blender, and so there are an array of models and options to choose from. Whether you’re looking for a blender to sit on the counter as a decorative focal point, or a no-nonsense model that stays in the cabinet until time for use, there is a countertop model to meet your needs. If you need a blender of all trades, choose one with a few different settings and a style you like. If you need a bar blender for your home bar, look for a stylish flip switch or pulse button on a blender with plenty of ice-crushing power and enough capacity to make drinks and impress party guests. Another option you might want to consider for cooking convenience is easy-to-read measure markings on the pitcher, so that you are not dirtying extra measuring cups in your cooking process. It is also important to explore how easy-to-clean the model you are looking at is, and whether the blender blades detach for cleaning. If the unit isn’t easy to clean and assessable, you may not find yourself reaching for it regularly. Handheld blenders are thin and long and are meant to be submerged in a cooking vessel to blend soups, smoothies, or drinks. These are often called Immersion Blenders. Immersion blenders can also be used in a saucepan to puree cooked vegetables or sauces. Immersion blenders are handy to have around for quick, small jobs; as they take considerably less time to clean. 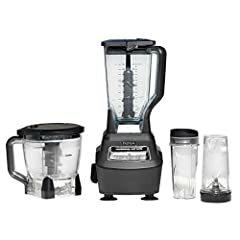 These blenders often come with multiple mixing attachments, depending on what consistency you’re looking for. If you are only making infrequent, easy recipes this may be the option for you, but immersion blenders lack the power and versatility of many countertop options. When choosing the correct blender for your own kitchen, there is no clear cut right or wrong option. By choosing the most important qualities that fit your culinary goals and lifestyle, the right blender is out there waiting for you. New: Our editorial list of additional articles. We decided to gather informartion all around the internet and present you a list of helpful, external links to interesting reads about the best commercial blenders and their reviews and guides. You're not convinced by the previous writings about commercial blenders? Of course you can just choose by visual impression, that's why we present you all our chosen products at a single glance. A click on any image is enough to open an external link to the best offer we could find. Finally, we want to present you our rating criteria for our commercial blender comparison, so you can better understand and comprehend our recommendations and the rating process itself. Furthermore, we still ask you to keep your eyes open for short term deals in order to make some great bargains with commercial blender in 2019. Published by G. Krambs on StrawPoll.com (last update on 2019-04-18 08:36:16).